Car owners have their own personal reasons for loving a particular make or model of car, but there are numerous things that BMW luxury cars have that set them apart from other brands. If you are looking for premium quality luxury cars in Mississauga, then our Pfaff BMW dealership is the place for you! 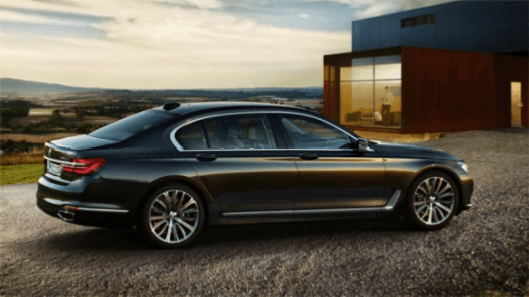 The BMW 7 Series is a luxury car that can be found at our dealership, and in this article, we will be talking about some of the features of this premium quality luxury car. Read on for more information. Dynamic proportions, precise lines and sculptured surfaces: The BMW 7 Series shows typical BMW design in its most elegant form. Be it in the forward-surging front, the extended side view or powerful rear, the BMW 7 Series radiates its natural and authoritative presence from every angle. One uniquely distinctive design detail in the front view of the BMW 7 Series is the Active air stream kidney grill. The air vents with their slats in Chrome are visible and actively regulate the airstream. If the cooling demand for the engine increases, the air vents are opened. In the closed state they improve aerodynamics and ensure a striking presence due to the vertical slats in chrome. Whether the goal is maximum performance or minimum fuel consumption, for BMW, the focus is always on delivering quintessential BMW driving pleasure. BMW EfficientDynamics is the strategy developed by BMW to minimize fuel consumption and CO2 emissions while simultaneously increasing dynamics and driving pleasure. It is a comprehensive technology package that encompasses the engine, energy management and the vehicle concept – and comes with every BMW. The new generation of gasoline and diesel engines in the BMW TwinPower Turbo family is responsible for the improved performance and lower fuel consumption. optimized aerodynamics contribute to increasing efficiency, as does BMW Efficient Lightweight, which simultaneously lowers weight and increases vehicle rigidity by using the right materials for the right parts. The search for pioneering innovations is the driving force for the BMW engineers. With functions such as BMW Gesture Control, they are setting further future-orientated standards in the BMW 7 Series. In addition, with BMW Touch Command, a tablet for controlling key functions has been integrated into a BMW vehicle for the first time. The BMW Touch Command is a tablet with 7” display integrated into the centre armrest in the rear. It is connected to the car’s systems and offers comprehensive operation and setting options. With BMW Gesture Control, selected functions can be operated by means of defined hand movements. Simple gestures such as ‘swiping’ or ‘pointing’ are identified in the recognition area above the centre console and trigger functions such as accepting or rejecting an incoming telephone call, proceeding or cancelling navigation as well as starting and ending voice recordings. The BMW display key shows various information about the vehicle’s status and allows selected functions to be controlled via the integrated touch display. The time can be displayed, along with remaining fuel and current range, service notifications, as well as the current status of the central locking system, the windows and the glass roof. If you are looking for luxury cars in Mississauga, the BMW 7 Series is the top of the line. For more information about this premium quality luxury vehicle, please feel free to continue browsing through our Pfaff BMW website. Click here to find our contact information, schedule a test drive, and to fill out our contact form.